Dunbar Hall will likely be knocked down and replaced with a modern facility. Dunbar Hall is near the end of its life. North Dakota State recently received a recommendation for $45.9 million from the State Board of Higher Education to build a new building for chemistry and biochemistry classrooms. A SBHE staff report recommended the new structure, to be called Dunbar II, be completed before the old Dunbar building is leveled. “This project would significantly upgrade out-of-date and potentially hazardous facilities in the current Dunbar building, accommodate past and future growth of the Department of Chemistry & Biochemistry, and result in the consolidation of Chemistry & Biochemistry into one building complex,” the report says. NDSU officials say the new building is necessary to accommodate campus growth and to alleviate crowding in some of its other buildings. The building is also dangerous. “The goal of the project is to install equipment that is new and not past its useful life rather than waiting until the equipment fully fails,” he added. The project is one of the university’s top priorities, the report says. The new building would also enhance the academic experience for undergraduates, graduate and PhD students, the report says. 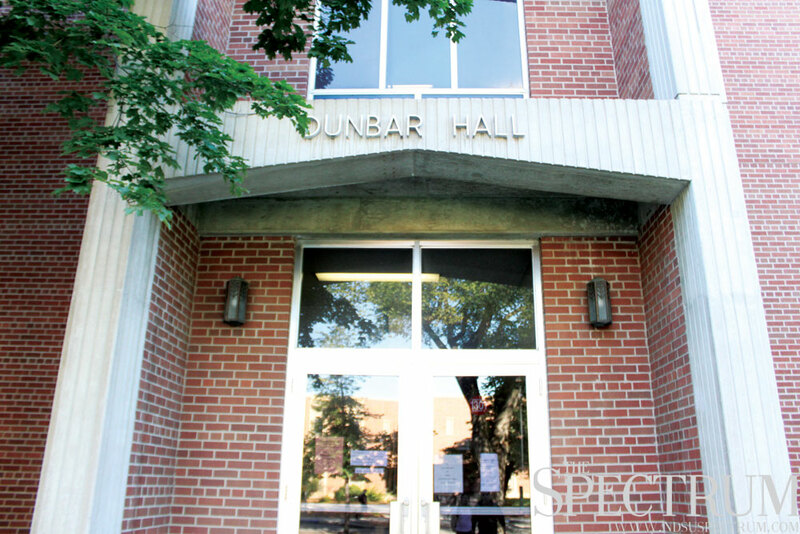 The report says the old Dunbar Hall has safety concerns, and it’s more than 50 years old. The original building was built for $1 million in 1963. Accounting for inflation, the new building will cost 497 percent more than the old Dunbar Hall. The report said an alternative to the construction of a new hall would be to remodel the old building. Officials say that project would likely create more headaches, because the building could not be used in the process of remodeling. The project was approved by the State Board of Higher Education along with other requests totaling $136.7 million on Sept. 3. The projects still need to be approved by the state legislature. The project, if approved in the 2015 legislative session, would take five to seven months to design and 18 months to build.